Amazon Web Services has added a search option for public sector contract vehicles to an online portal designed to help government customers search and connect with the company’s partner organizations. 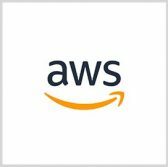 AWS designed the platform to filter searches by U.S. government socioeconomic status in an effort to help federal customers identify specific vendors such as women-, minority- and veteran-owned companies. The company offers cloud computing services to individuals, businesses and agencies through a subscription-based pricing model.